Before Reading note we are not Greenwich learning center, we are home tutoring agency helping Greenwich Parents get matched with Reliable Algebra Math Tutors Locally or online near Greenwich CT Area. If you’re a student who’s having difficulty with algebra, finding an algebra tutor in Greenwich, CT with the help of the Tutoring Services, LLC is equivalent to stumbling upon a goldmine or striking oil in your backyard. It’s like hitting the lottery ticket for your son or daughter! With the services of GreenwichTutoring.com at your disposal, finding the right tutor is a snap. Our agency has a wide variety of math tutors who are well-versed in multiple algebra courses, including Algebra 1 and Algebra 2. Some of our algebra math instructors servicing Greenwich, CT, specialize in helping middle school and high school students learn Mathematics subject, some of our math instructors help students prepare for college and others help adults learn basic math. We have variety of subject matter experts. No matter what your or your son's and daughter's grade level is, we can find an algebra mathematics tutor in Greenwich, CT, for you. Select an in-home tutor for face-to-face instruction, or choose an online tutor for as another approach. No matter which you select, Tutoring Services, LLC makes it easy for parents to find reliable algebra mathematics instructors in Greenwich, CT or nearby area such as Rye, PortChester, New Rochelle, Darien, Stamford, New Canaan, White Plains, Port Chester or any other Westchester or Fairfield county area. What type of math tutor would you like to come to your home in Greenwich CT? Traditional tutor is the one that visits your home teaches your son or daughter math using student's school book, and tutor's book or any other supplementary resources. Hybrid Math Tutor is the type of Algebra instructor who can teach your son or daughter with a tablet PC and intercombination of mathematical tools helping student learn math visually. The best option from the perspective of learning effectiviness. An algebra tutor in Greenwich, CT, can help you learn math so that you’re well prepared for your next math course, mid term or final exam. Having trouble with your math homework? 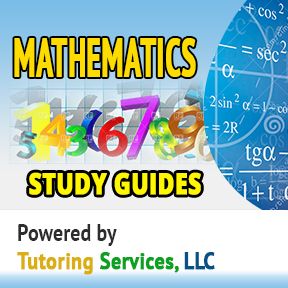 Math homework help is just one of the services an algebra tutor in Greenwich, CT, can provide. Your tutor can also help you with math projects as well as review your daily notes so that you’ll be prepared for math quizzes. And when you have an algebra test coming up, your tutor can review chapters and units with you. Your classroom instructor may cover material too quickly! Your private math tutor won’t. Tutors teach to one student, not an entire class. In other words, your algebra math subject matter expert in Fairfield County CT will be focused solely on you or your son or daughter. Your classroom instructor may assume that you have math skills that you actually lack. With an algebra tutor in Greenwich, CT, you can pick up those missed skills, making it easier for you or your son or daughter to succeed. Is there any doubt about it? How exaclty does the match work? Very simple, you either call us or browse for Algebra Math tutors from very same page you see. If you want us to help we can work with you based on your budget, or if we think your algebra budget is not realistic for Westchester and Fairfield County we will flat out tell you that and recommend other algebra study options. Meet Algebra Tutor Face to Face before they show up at your home in Greenwich CT! Saw the tutor you like? Not sure if they are the right fit? Why not meet with the tutor for 15 mins FREE before he shows up at your home to get the best level of match comfort discuss final pricing, and availability! We provide that option as well to see why pre-screening your tutors before they show up at your home is a good idea click here. (view Reliable student leads section once you navigate to that page) Can you think of any other company that provides that option? Other local tutoring companies simply can't offer that option why? Well simply because they only specialize in local home tutoring, while we specialize in both local and online algebra math home tutoring match making. Plus the kewl part about it all you can work out your match with one company no need to hop around different companies to help you find local tutor another company helping you find online. We can help you get matched with both types! Learn Algebra without sending kids to learning center. Tutoring Services, LLC can connect parents of Westchester County NY, Greenwich, Darien, New Canaan, Stamford, Port Chester, Purchase, Mount Kisco, Bedford, Tarrytown, Sleepy Hollow and Farifield County area as well as New Haven county with reliable math algebra tutors or nearby areas, whether your son is in college or high school or middle school our Algebra Mathematics experts can help. For parents with Middle school kids who’re taking their first algebra class can also greatly benefit from the assistance of a private lessons in Pre-algebra, Honors Algebra, Algebra I, Algebra II—whatever course you’re taking, you’ll be able to find an algebra subject matter expert to help your son or daughter better understand rigorous subjects of mathematics.. Choose private instruction within your own home or some other convenient location, or select an online algebra math tutor. Top 5 Reasons for Parents to Use our Algebra Tutoring Services in Westchester NY as oppose to searching for Tutor on Your Own! Our tutors can help also adults prepare for Algebra studies. Alternatively adults and college level students or high school level students can prepare for algebra related course, exam or subject on their own without the help of the tutor especially if you are on the budget, here are the best algebra study guides which we recommend to use in addition to algebra tutoring or instead of algebra tutoring. With an algebra tutor servicing Greenwich Connecticut, students will be able to review mathematical concepts that their teacher covers in class with the help of a local algebra math tutor. Unlike your classroom instructor, your algebra mathematics instructor servicing Fairfield County and Westchester County NY, can teach specifically based on student's needs, going at the pace that’s right for your son or daughter or for you, answering student's questions, and working with student until student truly understands mathematical concepts. An algebra teacher servicing Fairfield County area, can also review student's algebra math homework, helping students correct problems in which they have errors and show them how to do homework the right way. That’s a great way to learn! Not only will students earn higher scores on their math homework, but students will be able to clear up any misunderstandings that they may have and identify (and remediate) the errors that they tend to repeat. As countless other students know, you don’t have to be a math person to do well in algebra as long as you are explained topics well by qualified individual. To set up your first appointment with an algebra tutor servicing area of Westchester county and Fairfield County or get an online math tutor, contact us by email through info@callmytutor.com or browse for your math algebra tutor or study guide directly from this page.. Our company is a great agency that specializes in finding algebra home teachers in Westchester County area area for face-to-face as well as online algebra private instruction. Algebra math group tutoring in Greenwich CT as an alternative method to reduce tutoring expenses for Greenwich Parents who are on the budget. Have you considered having your child tutored in group? Group prices are much more affordable then one on one math algebra private tutoring. We have educators who can offer group teaching and one on one teaching services in algebra math subject. However, private math algebra 1 on 1 tutoring is better is more effective than a study group too. Our mathematics Algebra experts servicing Westchester County NY and Fairfield County CT know Algebra subject well and have the necessary experience teaching algebra other students. To reserver your group tutoring lesson, please review our math instructor profiles. Can't afford local algebra home tutor? Why not try online? If group tutoring is not an option for you and you still prefer individualized attention for your son or daughter in algebra math subject then why not try Algebra Online Math Tutoring? We provide such service specifically for Westchester, Fairfield and New Haven County Residents. Contact Tutoring Services, LLC by phone number on top righ corner to help us match make you with online algebra math tutor today! If company is reliable it should be able to help Greenwich parents answer the following questions, if companycan answer them than the company is reliable. If they can not provide answers to these questions, then reliability of the company should be questioned. 1. Can I meet tutor face to face before he/she shows up at home of Greenwich CT parent? 2. Is there first tutoring session gurantee? 3. Is there central site that has all tutors showing neatly together to look through? 4. How can i see what differentiates one tutor in comparison to another based on grade level that i am looking for? 5. What Algebra Math learning options are available for my son or daughter? 6. Does company provide group tutoring rates to save money on algebra math tutoring? 7. Does company provide hybrid math tutors, tutors who use Tablet PCs with Pens an specialized math software to teach students in Greenwich CT math? 8. Can company match make my son/daughter with both local and online algebra math tutor? 9. Can i suggest my own price per hour of what i think is best for algebra tutor rather then agency declaring the price? 10. Does the tutor who comes to my home and tutor my son keeps most of the money earned so i know i am getting good quality service? Preparing for Algebra CLEP exam? Trying to save money on College Credits? Fairfield County and Westchester County and New Haven County CT Parent did you know that there is such thing called Algebra CLEP exam and it's designed specifically to test subject knowledge expertise of student, if student passes it then student does not need to take college course. Many universities accept CLEP for college credits! This means that while your son or daughter is getting tutored in Armonk New York, you also taking advantage of simultaneous value of the fact that your son or daughter is also preparing for Algebra CLEP exam!. Resulting in higher saving on college loans for parents like you! We wanted to share this with Westchester/Fairfield County residents. Check our our sister site for Algebra Math CLEP exam test help. It shows variety of methods to prepare for this exam. Need Help in other Math subjects? View neatly organized study guides in math and other subjects. Don't have money for a local algebra tutor to visit your son or daughter in Greenwich CT? Can't afford 1 on 1 real time online algebra tutor either? Need help in Algebra, Pre Algebra math? Here is what we recommend to Westchester County and Fairfield County parents for their home school kids who simply need help algebra subject, or any kids looking for algebra mathematics help at affordable price.. This program is very cool and very affordable that beats local and one on one tutoring prices by far! Hence if budget is an issue and you simply want to have your kids jump onto a computer and study math in a nice interactive way then this is the program for you. 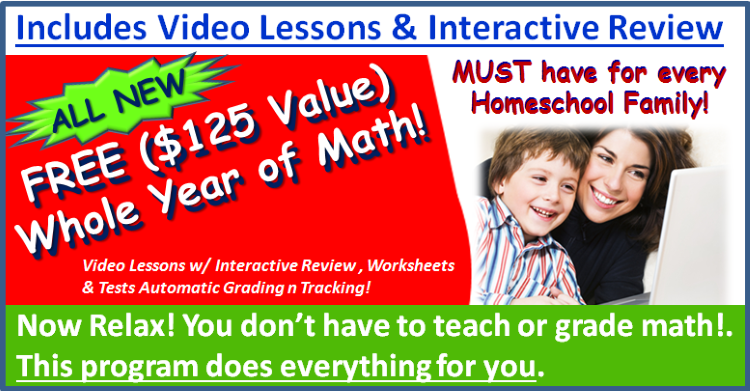 Note for more reasons why algebra mathematics interactive video study guide course is the best option for Fairfield or Westchester County Parents with elementary grade level kids visit this link. Tutoring Services, LLC is going GREEN helping Greenwich CT students save money on College Algebra book expenses! With a college algebra textbook students can review aspects of Mathematics course that are hardest for you to grasp, from linear equations to polynomials, from basic to advance linear algebra. But what good will the math algebra book does for you if it's not affordable enough for you to buy one? We believe education should be affordable, which is why we created UsedCollegeBooks.NET website to help college students buy and sell their algebra textbook directly to or from each other at the fraction of the university or college bookstore expenses, avoiding shipping fees and middle man all together and helping environment stay green by reusing old Algebra textbooks. The way it works you can simply register on the site free of charge and post textbook you would like to sell in either of the following universities in Westchester County NY. Students will find your book and contact you directly, that way you can save money on expensive shipping fees or bookstore fees and help the world stay green by reusing your textbooks. Tutoring Services, LLC is all about helping save the environment. We help Educators and Teachers get jobs and not only help teachers get jobs, but also help teachers prepare for their teaching career, by preparing them for the state teaching certification tests. We have study guides in the form of flash cards, exam secrets for various exams including but not limited to Praxis 1 and 2, NYSTCE, MTEL, CSET, FTCE, MTTC and other major tests which states require. Our study help material can help future teachers/educators get passing score on their test.